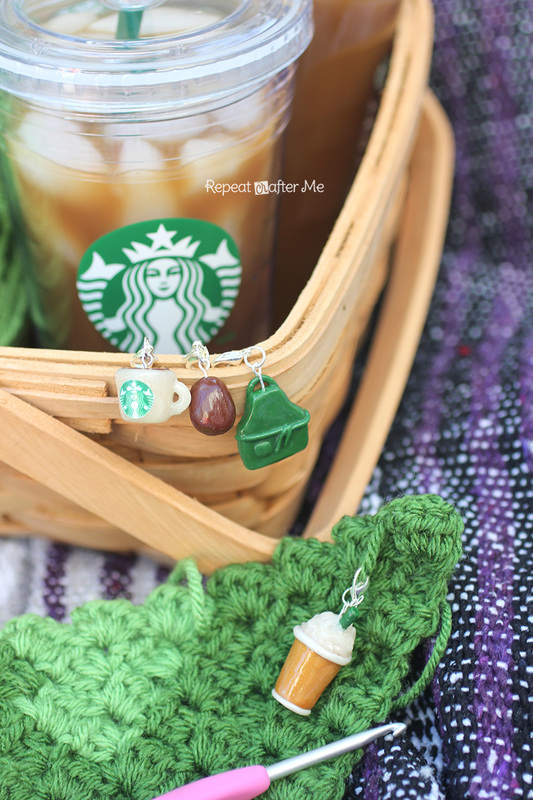 No better way to wind down the end of summer than with a little coffee and crochet picnic! I grabbed my Starbucks cold cup and bottle of my favorite iced coffee flavors (carmel and vanilla!) and had an hour to myself with a cold beverage, yarn, and crochet hook. 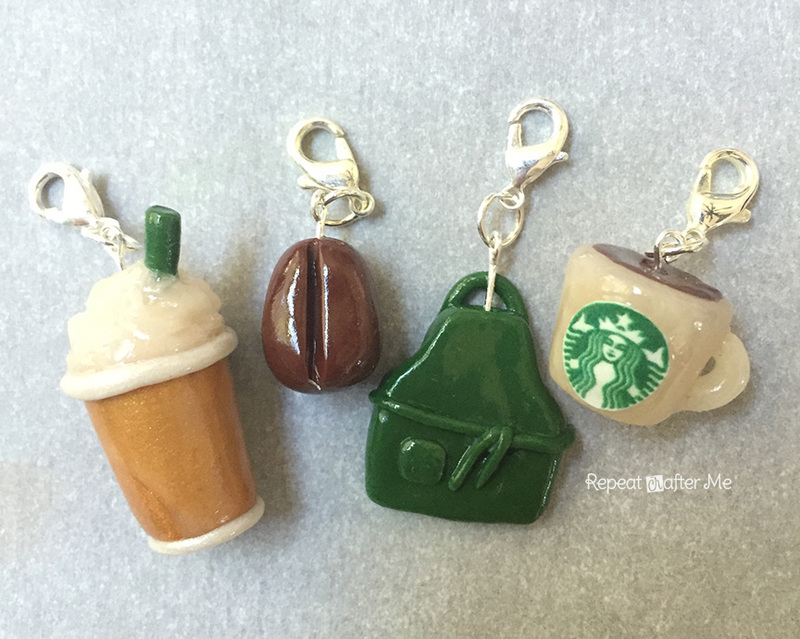 I felt inspired by my love of Starbucks coffee to make a set of polymer clay Starbucks Stitch Markers! 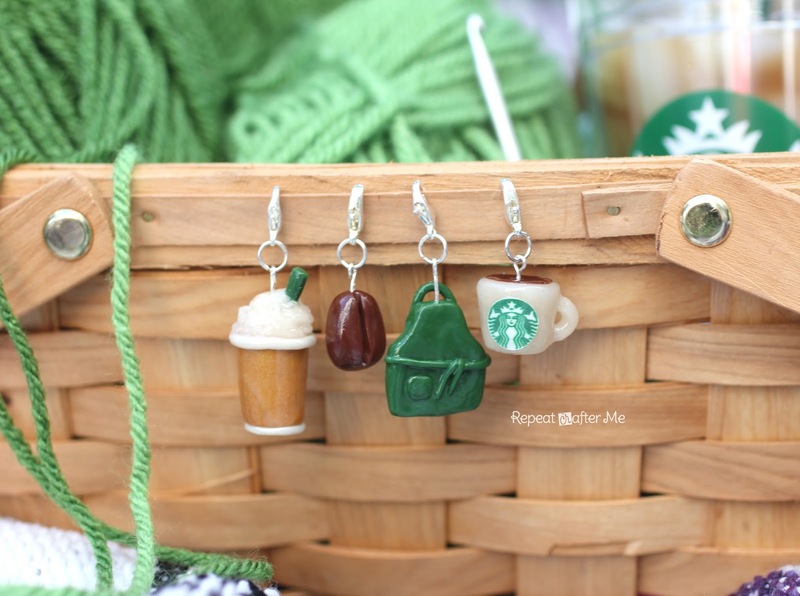 They make a great gift and a fun crochet accessory. 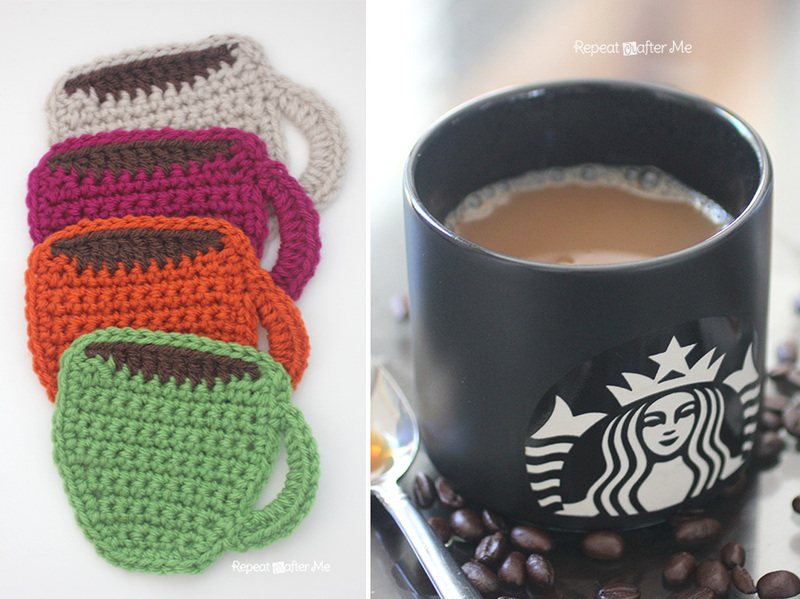 I know all you coffee+crochet lovers will agree that these are must make! 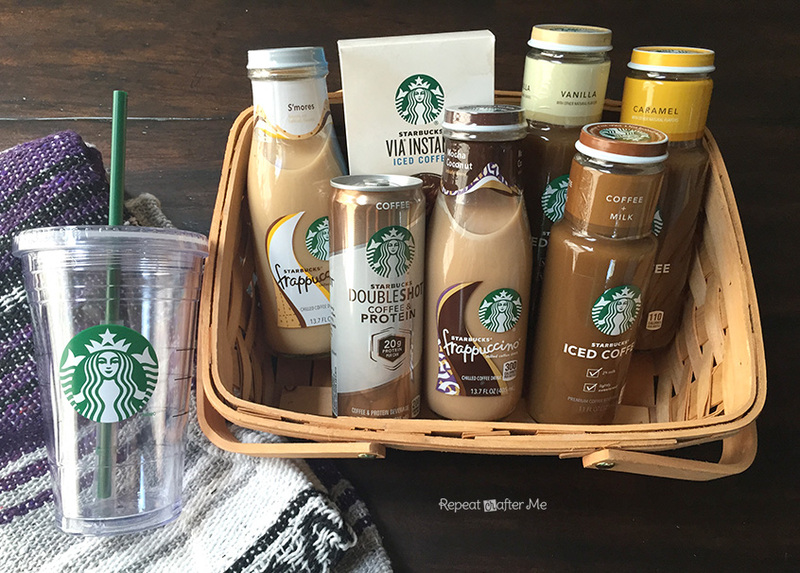 Starbucks bottled beverages are perfect for on-the-go! Already brewed and mixed with flavor perfection, I can easily drink them straight from the bottle or poured over ice in my tumbler. I’m a busy mom of 3 and with school and activities in full swing next week, the Starbucks Iced Coffee and Bottle Frappuccino Coffee drinks are always fully stocked in my fridge! Plus, the weather is still sunny and hot here in Southern California so I love being able to grab my iced coffee and head over to the park or with the kids. 1. 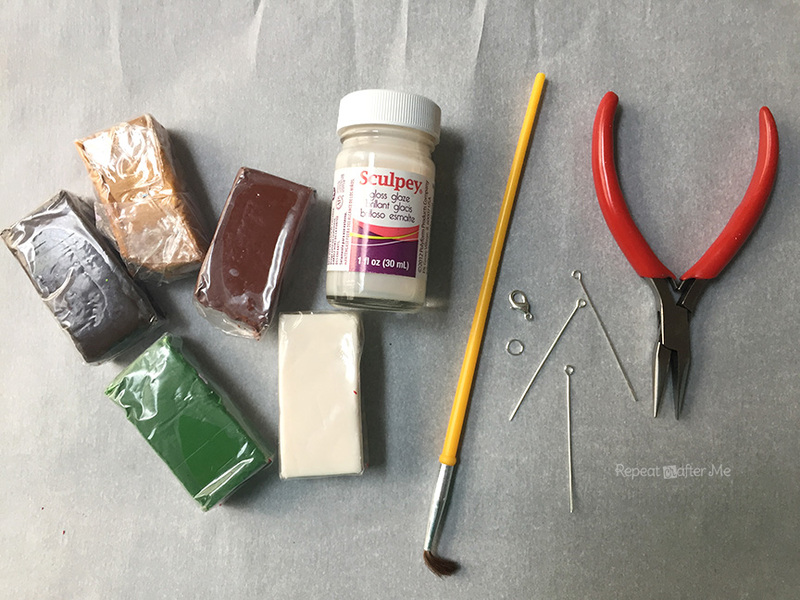 Polymer Clay: Fimo, Sculpey, and Craft Smart are some popular brands. I used Sculpey III clay that I purchased at Michaels in a variety color pack. 2. Sculpey Gloss Glaze (and paint brush). 4. Small Jump Rings. I used 6mm. 5. Lobster Clasps/Closures no smaller than 12mm. 7. Opional: exacto knife and clay tools. I have the Sculpey 5-in-1 tool kit. The exacto knife cuts the clay easily. I molded each piece by hand. To make the frapuccino cup, I mixed brown and white to make a marbled cup shape, added a coil of white around the top and bottom and then a lump of white for the whipped cream. I pinched the clay at the top to make it look whipped. Poke a hole and insert a short coil of green for the straw. Gently press to secure pieces together. The coffee mug is pretty simple. Use a thin flattened circle for the coffee at the top. To make the handle, smooth both ends of the coil onto the cup. Using the opposite end of a skinny paintbrush made a great smoothing tool. I was able to gently press and blend the clay. 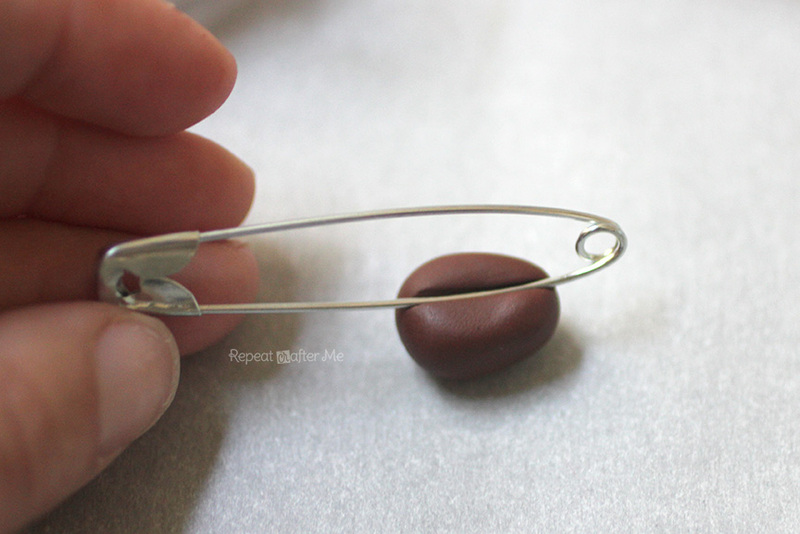 Make the coffee bean crease with the side of a large paper clip! The green apron was also just freehanded and shaped without any kind of template. I used thin coils for the waistband string and tiny square for a pocket. Before baking, trim eye pins and stick down the center of each piece. Bake in the oven at 275 for 15 minutes. Let cool completely. When finished cooling, paint with Sculpey gloss glaze. I printed out a tiny Starbucks logo, cut it out and stuck it to the mug with a generous amount of the gloss glaze. When glaze is dry, add your jump rings and lobster clasps and they are ready for use! 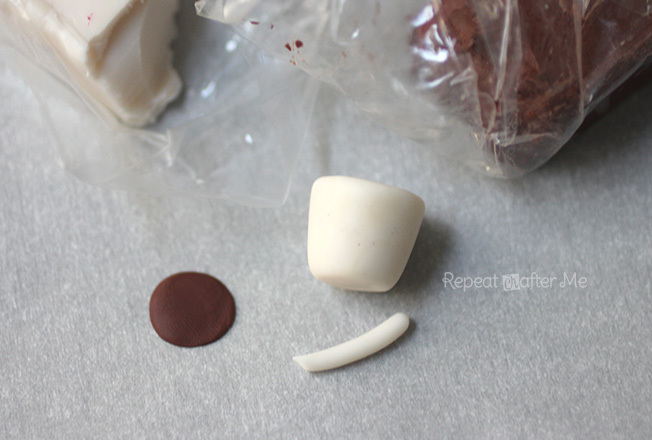 Note: be careful which white clay you use. 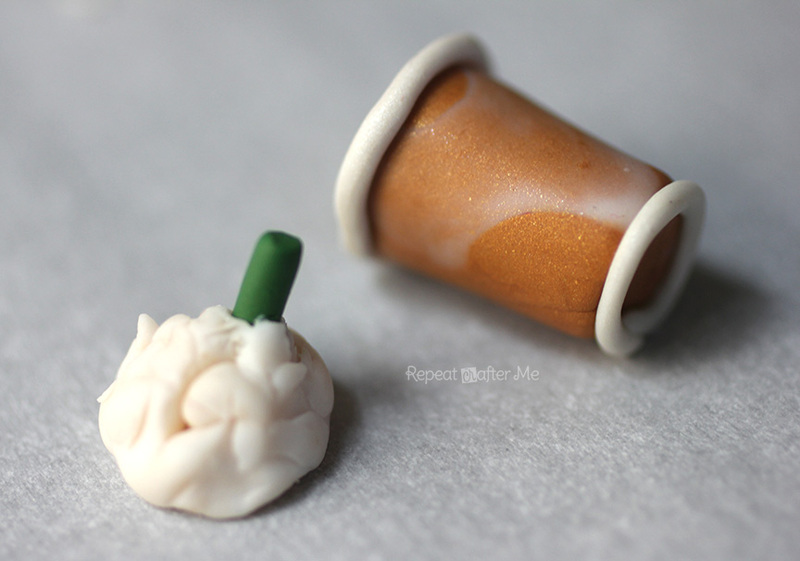 I didn’t realize that some of my white clay bakes clear! 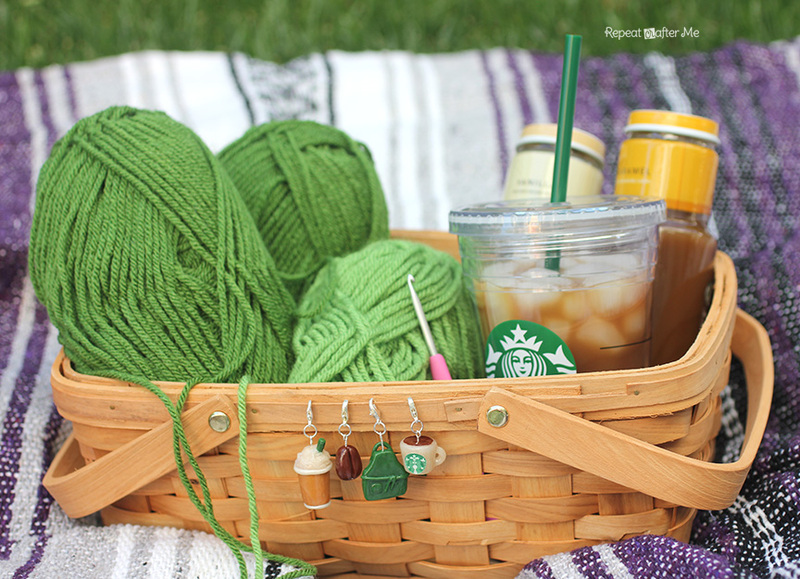 I hope you are enjoying the last bit of summer with a cool Starbucks drink and little crochet time! 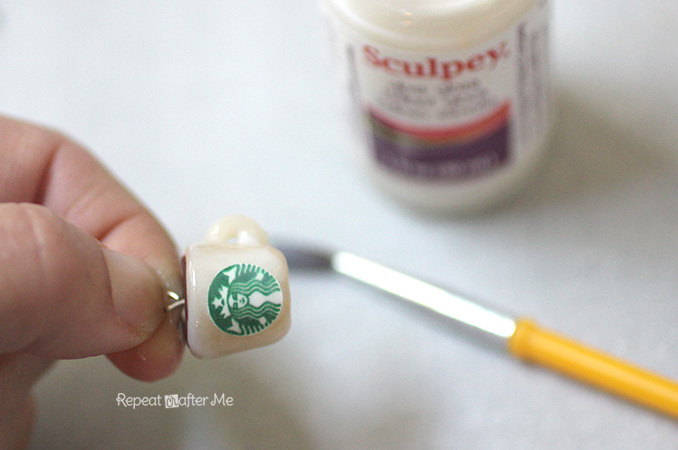 As a member of the Starbucks Blogger Community, this is one of several Coffee + Crafty posts you will see on my blog over the next couple months! 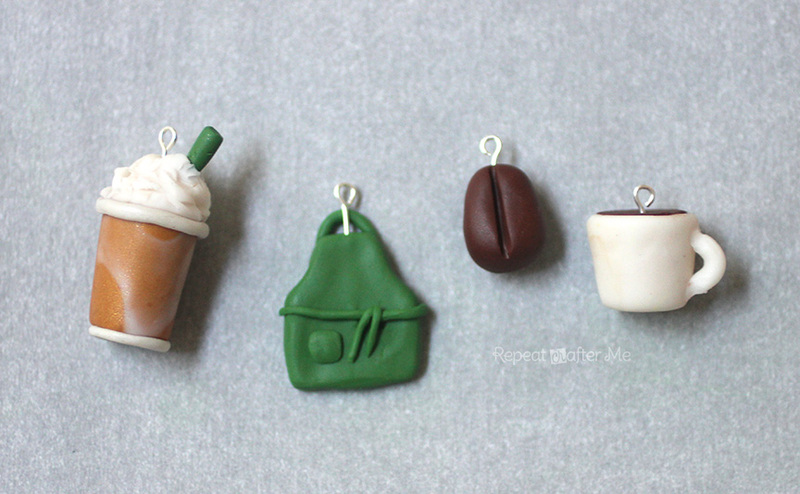 I hope you stick around to see my coffee reviews which will always include a new free coffee themed crochet pattern or craft tutorial! Starbucks provided me with product but did not compensate me for this post. All opinions about the coffee and other products are 100% my own. All coffee products can be found where you buy groceries! Fun. I don't drink coffee but my girls love their pastries. I did buy a terrific coffee cup for my hot tea. It was worth the $20 as it doesn't leak no matter which way it is. I love these, and would by them from you! Nice!!! These are awesome, really cute. Sarah cannot sell these, as doing so (with the protected Starbucks logo) would be a serious violation of copyright law. My BFF lives in a small town in AZ, but their grocery store has a Starbucks in it. Our favorite afternoon break, was to go there. I even saved a couple of the light plastic cups to use the logo’s to make a necklace and earrings set. Memento’s of a great time. 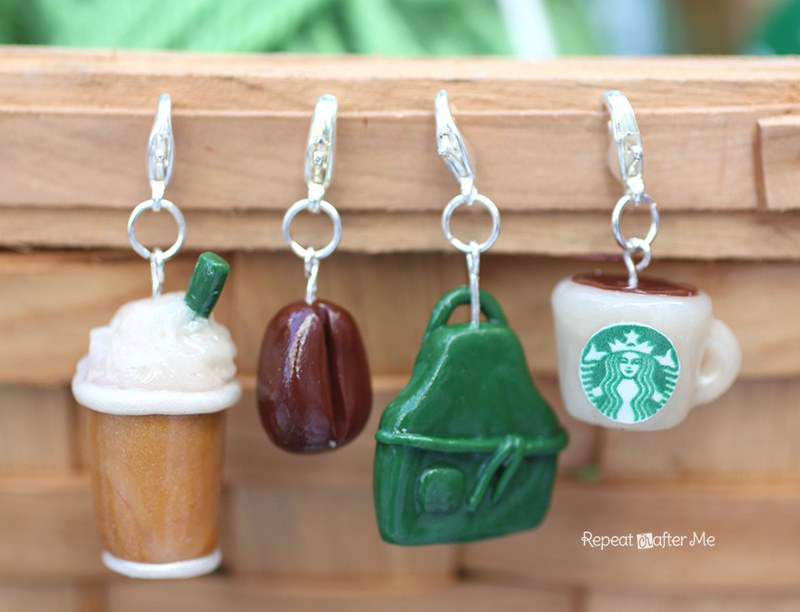 Hello, are you selling the Starbucks stitch markers? 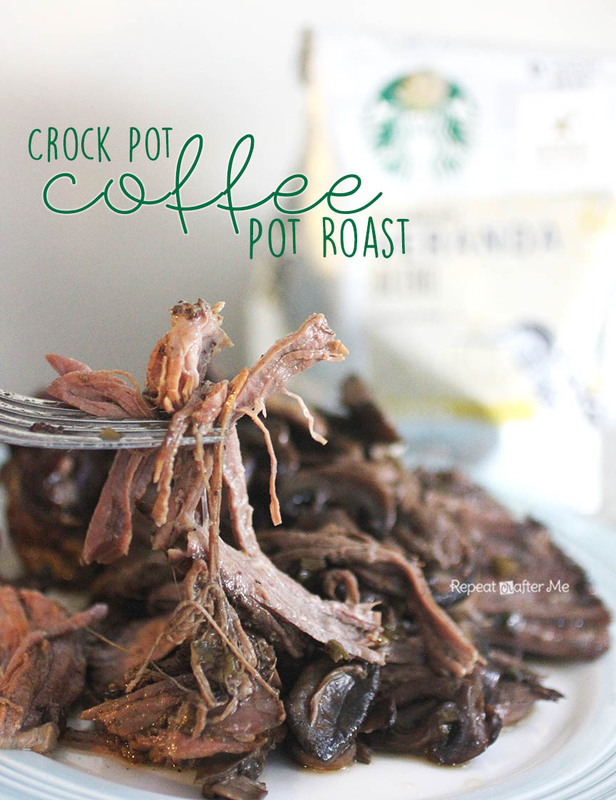 Saw the photo of your “CrockPot Coffee Pot Roast – where are the directions? These are awesome, really cute. I would buy them!! Wao Great i Much like this drama Thanx so much. i want to tell you after reading your script …. you are must be hero of lots of children … no body will want to go with out commenting on these topic you made it great … you are surely a hero. It was great for me. Thanks for sharing this here useful info..
Helmet Heroes http://helmetheroes.games is a a massively multiplayer role having fun video game in which you can coordinate with your on the internet buddies and also explore regions and also fight versus enemies. It showcases almost 40 enemies, hundreds of different tools, headgears, armor, and also accessories. You can choose in between being a warrior, archer, wizard, or cowboy. Or if you would certainly such as, you can integrate classes as well as develop you possess mix. You can additionally double possess tools as well as utilize guards. There are a multitude of special skills to pick from in addition to the capacity to let loose substantial planet drinking energy levels to thrill other gamers and aid you bang via waves of opponents. In your downtime from dealing with, you can fish for over 40 different fish, or you could cut down trees to obtain wood to craft new tools. You could also acquire pets which will assist you deal with adversaries and you could even ride them! Great idea, I like your idea, the hooks are pretty and cute. The products you make are very beautiful and unique. I like the products you do. I love drinking coffee and like the little things you did, looking at them great. A garden looks nice. Check out Urbz.io for another idea for your kitchen window.